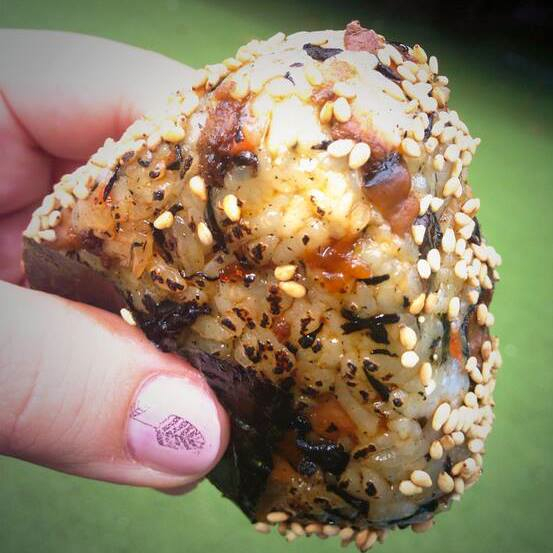 Things are taking a turn for the Japanese as Broadway Market (the little bit in the school yard) favourite Mr Musubi is beginning a four-week takeover at Off Broadway bar. Musubis are sushi-grade rice triangles studded with exciting little extras, wrapped in seaweed and sesame seeds and the seared a little. They're also a perfect partner to a one of the bar's lethal cocktails, which is handy, too. We recommend the tangy slow-braised ginger beef ones, and while you're at the bar - grab us a sweet egg omelette too, will you? Check out the guys' Facebook and Twitter for more info. Well, star and stripe us, if it isn't the 4th of July. So why not go native and get stuck into a Crawfish boil to celebrate the Yanks' day of independence? Crayfish Bob and Felix from Manhattan's Project are taking over The Liquor Store for the night with their 4th of July Crawdaddy boil, which for the uninitiated includes all you can eat crayfish, corn on the cob, Kielbasa sausage, potatoes and a lagerita (oof!) for the all-in price of £35. There's even going to be some crawfish racing, though we imagine that'll be before the pot starts boiling. From 6pm, at The Liquor Store on Gillet Street. Tickets from here. Do you like beer? Like, beer everything, even in cocktails and food? And do you also like rooftops? Well friends, this is the one for you. Twenty Something London have created Rooftop Brewing, the ultimate double-header upstairs at Netil House. Choose from either the boozy brunch session during the day or the alfresco disco (ooh, that rhymes) for the evening. The £25 entry gets you eight tokens to swap for beer or food at the likes of one of five craft beer companies and Yolk, Hot Skillet and Turner & Roast. So think haggis or chorizo runny-yolked scotch eggs, steak and eggs slider or BBQ pork shoulder in Kent cider. If it all gets hella crazy, you can even strip off (not completely - it's not that sort of party) and jump in one of the hot-tubs. Get all the details on the party here, and get clicking for those tix here. You might think it's just the 6th of July today. Oh no. Today is Duck Day, at least according to The Cornwall Project, who showcase the best of Cornish food and who are taking over Climpson's Arch for the day. From midday, the gang are going to be barbecuing, searing, smoking and roasting our feathered friends, all for the delectation of your mouth. Tickets are £10 now, or £12 on the door and include a drink and a starter, then it's pay-per-eat afterwards. It all gets going from midday. Tickets from here, Twitter chat here.